The 50th Star Trek: TNG book. Page count: 235 including two afterwords, one about writing science fiction and another about the Trek technology and a selected bibliography. In the sixth season episode “Relics” Enterprise-D encounters a Dyson sphere but they didn’t have the time to much explore it. Now, about a year later the Enterprise is back with another Federation ship, the Darwin, to explore it more thoroughly. The Darwin is crewed by the Horta. However, when Enterprise draws near the sphere, the sensors pick up a small wormhole from which emerges a neutron star. The star is on a collision course with the sphere so suddenly, the starships have only about two weeks to explore the huge surface area of the sphere. Captain Picard, LaForge, and Troi join the Horta ship inside the sphere. The Enterprise will stay outside, to monitor the star and the help the Darwin out, if necessary. Picard, of course, is very excited to be exploring the sphere. The officers speculate about which race could have built the sphere and they wonder if it could be the early Borg. However, the sphere has some surprises for them. This story is focused on exploration and then trying to control a disaster. It’s also focused on science, which isn’t a surprise considering that Pellegrino is a professional engineer and archaeologist. 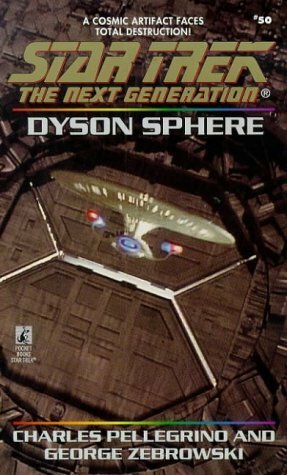 However, it’s different from other ST:TNG books so if you’re looking for fast-paced and light-hearted adventure, this is the wrong book. It also doesn’t have Montgomery Scott who was in the original episode. But it does give the reader something to think about, not just what can be done with science but about how small we humans really are and what sorts of wonders might wait for us out there. From some of the other reviews on Amazon I understand that just before printing the book, someone took out about 20% of it. If that’s true, it’s unfortunate and puzzling. The second book in the fantasy series Blackthorn and Grim. Blackthorn and Grim are former convicts. Blackthorn made a deal with a fae to get out of prison and is still bound by her promise to help everyone who asks for her help and not to go to after Mathuin for seven years. Mathuin is the cruel ruler who killed Blackthorn’s family and put her behind bars. They both have difficult pasts and don’t want to reveal them to anyone, including each other. They’re not lovers but they can’t trust anyone else. For now, they’ve settled in Dalriada with the local prince and his new wife as their allies or perhaps even their friends. However, one day lady Geiléis rides to the prince and asks desperately for help. It seems that a monster lives near her lands, in the Tower of Thorns, behind an impenetrable wall of thorns. The monster can’t leave the tower and its howls drive everyone to depression and madness because they’re forced to relive their most depressing memories again and again. The prince asks Blackthorn’s thoughts and reluctantly she agrees to travel to lady Geiléis’ lands and try to get rid of the monster. Grim goes with her, even though he has lots of reservations about the whole thing. Also, a childhood friend of Blackthorn’s appears. She thought Flannan was dead, too, but it turns out that he’s a traveling scholar and had been away when Blackthorn’s family died. She’s more than happy to see him but he has a new plan to bring down Mathuin. She wants badly to do that, but it would break her word to the fae. Flannan is going to a monastery near lady Geiléis’ lands and so they travel together. 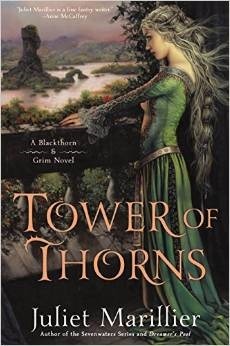 The more Blackthorn hears about his plans to go against Mathuin, the more she wants to help. Soon, she intends to follow Flannan south and help him bring down Mathuin. This was a wonderful book, written in a very lush and evocative manner. It draws on many fairy tales, as can be seen from lady Geiléis’ chapters where she tells us the tale of young lady Lily and the young man she met in a mysterious tower. The fae of this world are very much from the fairy tales; mysterious, sometimes cruel, and they have their own rules. This was an excellent continuation to the series. This time we find out more about Grim’s tortured past. He’s fixated on Blackthorn as the person who can keep him grounded and the only person he can truly trust. He’s taciturn and other people consider him stupid and slow. Blackthorn herself is torn between wanting to keep her word to the fae and wanting to see justice done on Mathuin. She’s a determined and passionate woman who has been deeply hurt and is now suspicious of everyone, except Grim. When she realizes that she must keep her plan of leaving with Flannan secret from Grim, she feels very guilty and tries to reason to herself that Grim will be better off without her. This puts a lot of strain on Grim’s and Blackthorn’s friendship. The book has three POV characters: lady Geiléis, Blackthorn, and Grim. The audio book has a different reader for each and that worked very well. Top Ten Tuesday was created by The Broke and the Bookish and is now hosted by That Artsy Reader Girl. Yesterday, the topic was Top 10 Villains. Top 5 Wednesday had the same topic a few weeks ago so I’m not going to include the same creatures/people. The nine Ringwraiths are terrifying villains: ruthless and relentless. In the episode “Hush”, these nasty fairy tale villains took over the town and nobody could speak. The queen is a master of disguises and poisons. I also quite enjoyed her in the Once Upon a time TV-show. The main villain in the Curse of Chalion is really the curse but it has a couple of memorable villain characters, too: the dy Jironal brothers. The older of the brothers is the chancellor, a very close confidant of the roya (the king) but his younger brother Dondo is the one I really loath. He’s a lecherous womanizer, a drunk, and a betrayer who tries to court the young princess Iselle. McGuire has lots of interesting villains. Simon starts out as pretty much Toby’s arch enemy because Simon changed her into a fish for 14 years. He’s also the twin brother of Toby’s liege lord. He’s a pretty remote figure for most of the series until The Brightest Fell where we learn quite a lot about him. The Temeraire series has also my interesting villains but my favorite is the Chinese dragon Lien who allies herself with Napoleon. She’s an albino dragon and even though she’s of royal lineage, she’s still looked down up because of her coloring. The Cardinal is perhaps the epitome of scheming villain. He’s the true power behind the throne and so untouchable without unshakable evidence. There a pair of very eccentric assassins from Neverwhere. Mischievous Loki is usually really fun. Victor von Doom is a genius scientist and a sorcerer. He rules the small nation of Latveria and thinks that he’s a good ruler (or at least nobody else could do as good a jo). He’s also a megalomaniac who can’t give up a grudge. He’s been a god at least twice. What makes him interesting is that he can ally himself even with his archenemy Reed Richards when needed. Oh my goodness! Where does the time go? Last I checked, September was just starting….and now it’s gone and it’s time to get the third quarterly checkpoint up and running. Let’s see how our challengers are doing after they’ve got 9 months under the ol’ mountain-climbing belt. I’ve read 21 books so I’m actually one book ahead of my goal of Mount Blanc’s 24 books! It’s so hard to choose just one. 🙂 I’ve read so far two Elizabeth Peters books which have a cast of really great characters, including Amelia Peabody and her husband Emerson. Also, I rather like the thieves in Patrick Weekes’ heist crew. And of course Batman is one of my favorite superheroes, although the book, Ultimate Evil, wasn’t my favorite. But since I need to pick just one, I’m going with Dana Scully in the X-Files tie-in Ruins. For a long time she’s been one of my favorite characters because of her determination and loyalty. Kenneth Oppel: Airbornis written from the first-person point-of-view of Matt Cruise, a teenaged male. Penny Warner: Dead Body Language is written from the POV of Connor Westphal, an adult deaf woman. Another pairing is Andrew Vachss: Batman: the Ultimate Evil and Patrick Weekes: The The Paladin Caper for evil and (supposed) holy warriors, the paladins. 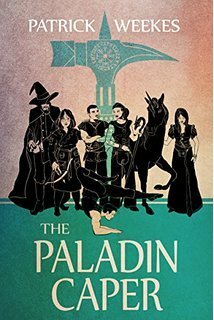 The third and final book in the Rogues of Republic fantasy heist series. 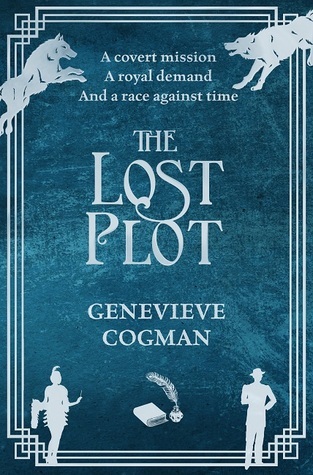 Loch and her band of lovable rogues meet their ultimate challenge: the possible return of the ancients, who consider humans, and other races, at most tools to exploit. Loch wants to prevent that, of course. But unfortunately, the ancients have stupid, selfish, greedy people on their side. Also, they kidnap one of Loch’s friends as part of their plot and they’re also hitting Loch’s crew through their families. So, stakes are really high. We get to know a bit about the background and families of Icy, Kail, and Tern. That was fun and added depth to them. The plot is as fast-paced, if not more, as in the previous books, with twists, turns, and death-defying plots flying around all the time. This was a satisfying and fun conclusion to the series. Few things annoyed me near the end a little bit but otherwise it was a fun ride. Weekes does handle more weightier matters in this book, namely sexism, racism, and the racial tensions between white and black peoples. He’s made references to them in the previous book but here they were far more noticeable. Also, I’m sure that people wearing magical stuff which takes over their minds is, indeed, a fun riff on modern tech. If you liked the first two books, this won’t disappoint, either. I’m certainly curious to see what the author will do next.